When you invest in commercial washers and dryers for your California laundromat or on-premises laundry operation, you want to get the maximum return and long-term cost savings from your investment. That means maximum customers satisfaction from consistently excellent wash results; maximum utility savings and environmental benefits from low energy and water consumption; and maximum benefits from the long-life and reliability of your machine. Regular maintenance is the key to making sure your equipment performs at its best — building profits and cutting costs for your business. The very best commercial washers and dryers are designed to provide significant savings to your business over their years of operation compared to budget models. Regular maintenance, taking care of necessary repairs early and replacing parts when necessary will make sure that your washers and dryers are running efficiently and extend the life of your equipment. Why Is Fall A Great Time For Maintenance? If you are in the hospitality business or you own a laundromat in a popular tourist location, your equipment will be working overtime during the busy summer tourist season. It’s a good idea to have a factory-trained technician check your equipment before and after this busy season. Checking your equipment in Fall is also a great idea because it allows you time to talk you your accountant or tax professional to see if you would benefit from purchasing any necessary replacements before the end of the tax year. We have the expertise to diagnose your problem fast, and our expert technicians can get your equipment back working for your business. Our factory-trained technicians can visit your location on a regular basis for general maintenance and inspections, making sure your laundry operation runs smoothly. 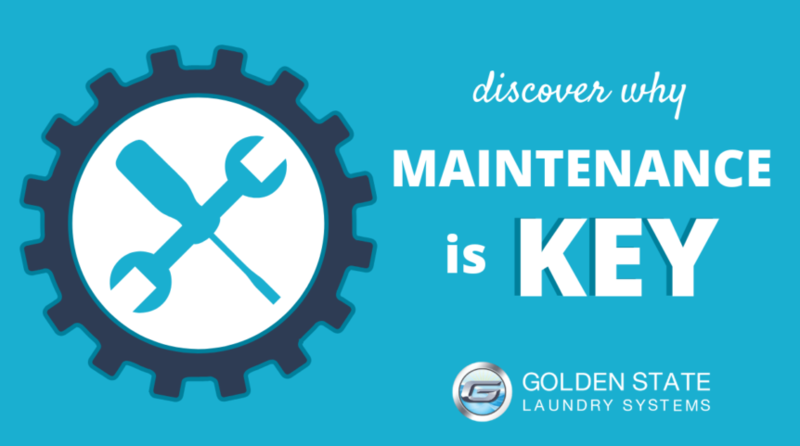 If you want to learn more about our equipment maintenance services, get in touch with Golden State Laundry Systems. Our experts can answer all your questions and help you every step of the way.